The role of lexical resources is often understated in NLP research. 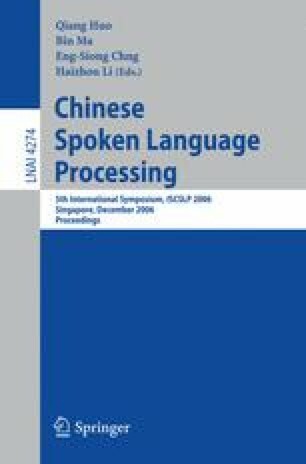 The complexity of Chinese, Japanese and Korean (CJK) poses special challenges to developers of NLP tools, especially in the area of word segmentation (WS), information retrieval (IR), named entity extraction (NER), and machine translation (MT). These difficulties are exacerbated by the lack of comprehensive lexical resources, especially for proper nouns, and the lack of a standardized orthography, especially in Japanese. This paper summarizes some of the major linguistic issues in the development NLP applications that are dependent on lexical resources, and discusses the central role such resources should play in enhancing the accuracy of NLP tools.